Vivi’s Kitchen Garden 161: Sowing tomatoes & celery and chatting. The time has finally come for me to sow my tomato seeds…….I love this moment each year as it always feels like the new growing season is really about to begin……and I can’t help but imagine warm summer days and fruit eaten straight off the plant…..
Vivi’s Kitchen Garden 101: Planting the vine bed. Tomatoes, squash, cucumbers and peppers. On another scorching day I make a start on planting up the vine bed. Donated ‘spares’ of tomatoes have saved the day plus the squash, cuces and peppers which were all started indoors weeks ago……….it finally feels like the garden is taking shape. A huge thank you to all my plot friends who gave me their spare tomato plants – the girls came good! Vivi’s Kitchen Garden 80: New seeds, sowing tomatoes and celery plus an update on the pepper and celeriac seedlings. 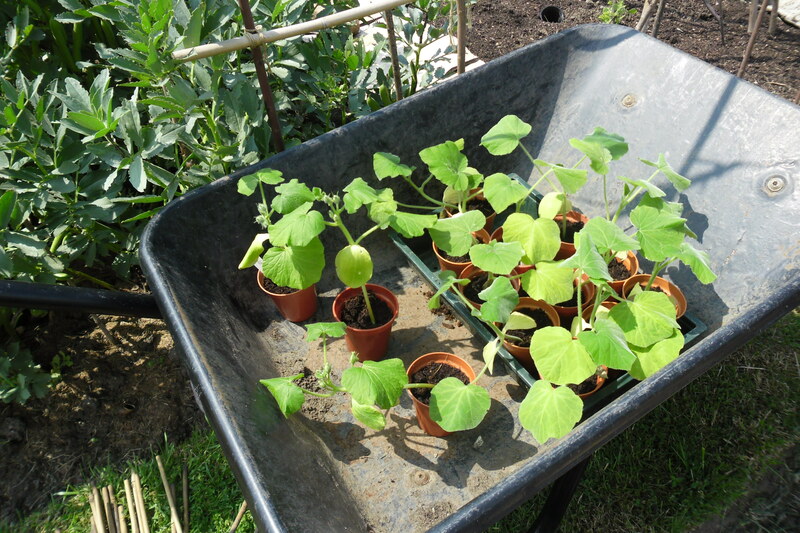 The season is gradually gearing up…….seed sowing and pricking out become the perfect rainy day activity. Today’s sowing session includes one of my most important and loved crops…..the tomatoes. Planting cordon tomatoes (with Epsom salts).